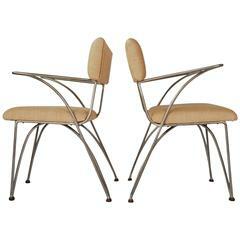 The ‘Tanit Classic’ series features backs and seats of aluminum. The panels are variously perforated, thus creating an interesting geometric effect. Seats and backs feature a chequered ‘full & empty’ fretwork and a horizontal strip ‘full & empty’ fretwork, respectively. The small-sized frame is made of an epoxy painted continuous tubular section of (20 x 10) mm. Colors for seats and backs vary from bicoloured in the ‘Manhattan’ version, which reminds of the stars and stripes of the American flag, to black colour, colored and natural aluminum. 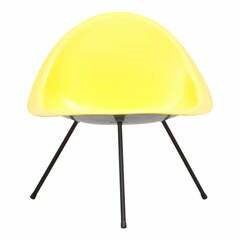 Beautiful yellow aluminum stackable chairs made in Switzerland during the '40s 28 pieces available for indoor or garden. 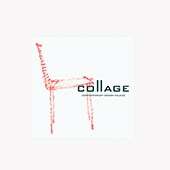 Molded aluminum chair originally designed by Poul Kjaerholm and manufactured by Sean Kelly Gallery. This example is a re-edition from 2010. The original design is from 1953. 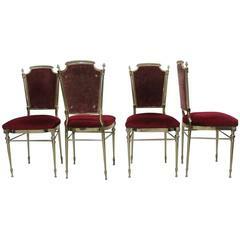 Classic chairs in solid brass, French, 1950s.